The human condition is product of the human itself. And in a world without balance, the human condition can sometimes not be that most beneficial condition for our fellow creatures that share the earth with us. Politics can play a major roll in how humans make choices. 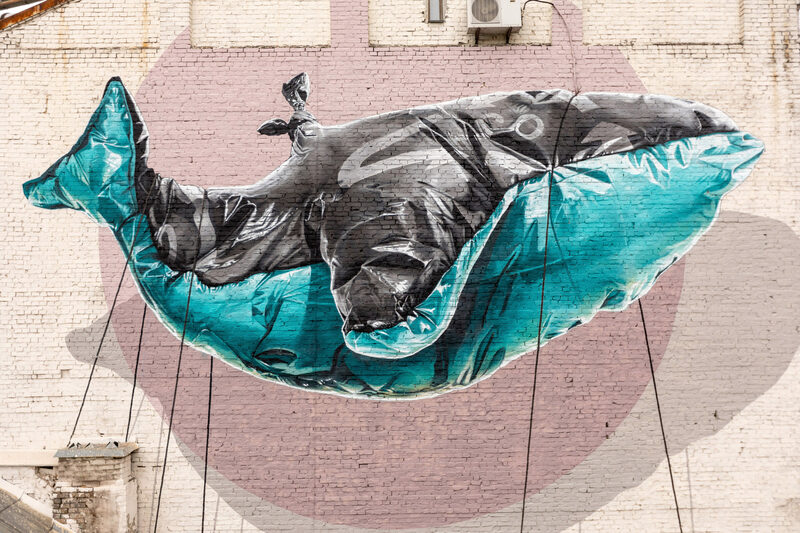 NEVERCREW explores this in depth with some amazing mural concepts. 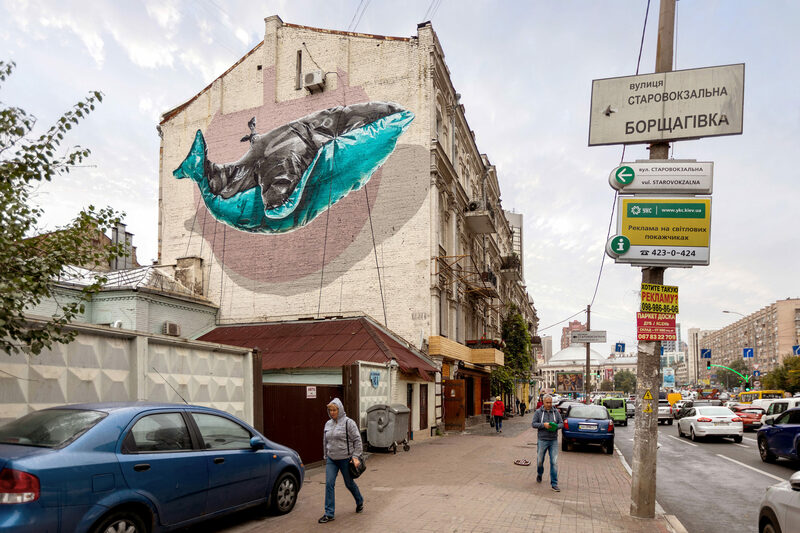 And most recently they created a work in KIEV, the Ukrain that explores this idea in what appears at first glanse to be in the shape of a whale. With closing environmental options there is also new possibilities that can be created from new choices, or better decisions. The future of Human beings are in the hands of humans themselves. And of course considering that nature allows us these choices. 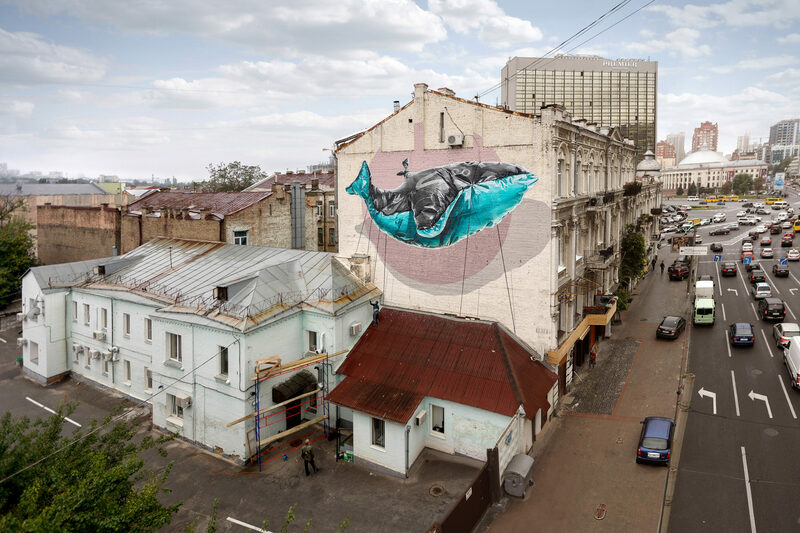 NEVERCREW invites the onlooker to consider their social and environmental decisions in what ever form they can or want. Packaged in the form of art, it also enables the walls that the murals are painted on to breath and speak to the world.